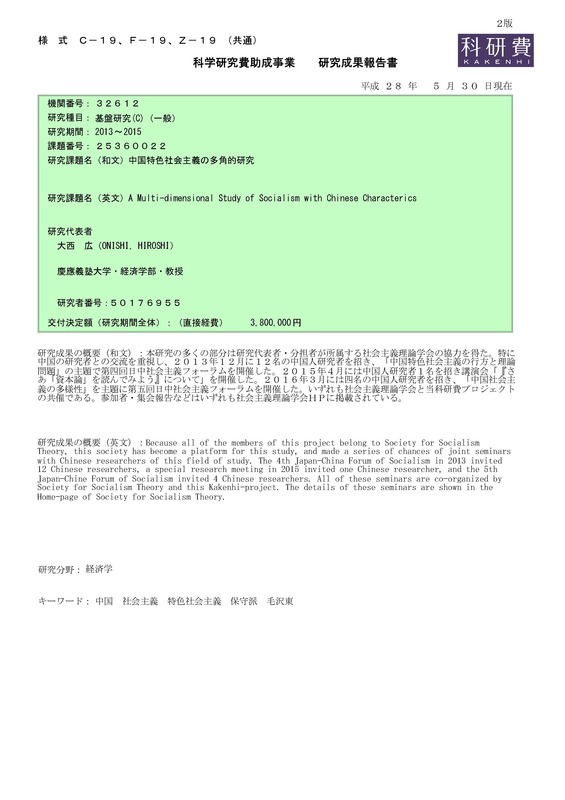 Because all of the members of this project belong to Society for Socialism Theory, this society has become a platform for this study, and made a series of chances of joint seminars with Chinese researchers of this field of study. The 4th Japan-China Forum of Socialism in 2013 invited 12 Chinese researchers, a special research meeting in 2015 invited one Chinese researcher, and the 5th Japan-Chine Forum of Socialism invited 4 Chinese researchers. All of these seminars are co-organized by Society for Socialism Theory and this Kakenhi-project. The details of these seminars are shown in the Home-page of Society for Socialism Theory.